Last month I tried my very first Pureology product ever — Colourmax Spray hair color protectant — and came away impressed. I decided to keep an eye on the brand. 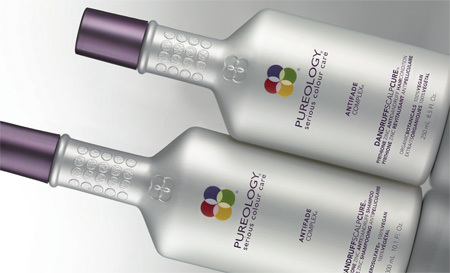 Pureology Dandruff Scalp Cure Shampoo and Conditioner ($35 each, wow!) are the latest additions to the Pureology product family. The company caters to people with deep pockets and color treated hair, but are they charging too much? While generally effective at treating dandruff, most over-the-counter dandruff shampoos tend to strip away hair color. Pureology sought to develop a product that could treat dandruff without ruining a dye job. 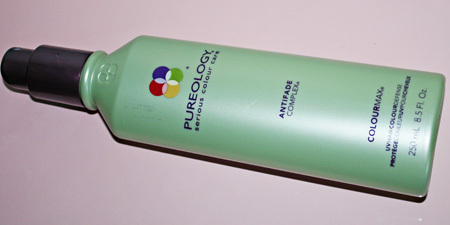 As with Head & Shoulders and most other dandruff shampoos, the active ingredient in Pureology’s dandruff products is pyrithione zinc, an antifungal/ antibacterial agent commonly used to treat scalp scaling, itching and flaking, but while most dandruff products limit the amount of pyrithione zinc in their products to 1%, Pureology uses 2%. I will get dandruff from time to time, particularly when the seasons change. To treat it, I’ve always just reached for Head & Shoulders Shampoo ($8) and a conditioner like Bumble & Bumble Super Rich, but, even limiting my use of Head & Shoulders to no more than once a week (and then only on my roots), my hair felt dry and my color would fade faster than usual. After using both Pureology dandruff products once a week for a month, not only did my dandruff go away, but my hair color didn’t. The shampoo has a lovely vanilla scent with a touch of musk and builds into a nice lather. It’s not as drying as Head & Shoulders is, and while I could probably have used it safely on my full head of hair, I stuck to only using it on my roots. I figure that way the 10-oz. bottle should last upwards of a year, which breaks down to about $3 per month. 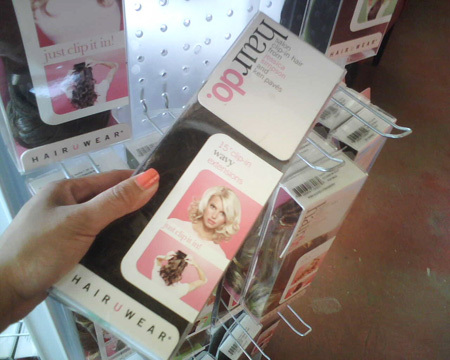 Hairdo Clip-in Hair by Jessica Simpson: Hairdo or Hair Don’t? So, I was at the salon waiting for my appointment this afternoon when I decided to actually pick up and read a box of Jessica Simpson’s hairdo clip-in hair extensions. I’m not a faux hair expert, but I can usually spot bad fake hair from a mile away. Well, Jessica and her hairdresser, Ken Paves, sure fooled me because this stuff looks — *gasp* — like real hair. 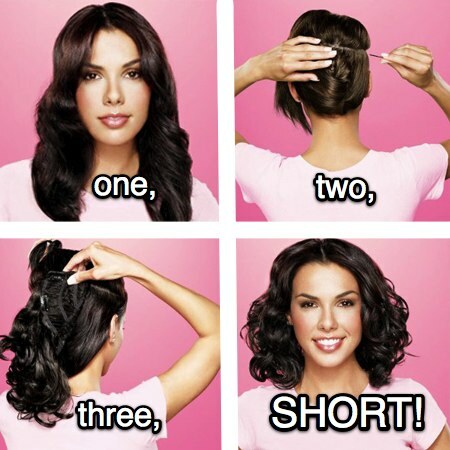 It comes in short, medium and long versions of either curly or straight hair. I like having long hair, but I’d love to be able to switch between long and short at the drop of a hat. I thought about the bob I rocked last year and came *this close* to impulse buying the 15″ wavy extension, which doesn’t actually extend your hair but makes it shorter. And then I saw the price: $90! Wow! Isn’t that a lot? I don’t know squat about fake hair, but $90 sure sounds expensive. I decided not to buy it this time, but I came close! If the urge for short hair strikes again, I just may have to give Jessica’s hairdo a try. What say you about clip-in hair? Hairdo or hair don’t? How do you feel about clip on hair? Who Else Wants Great Hair? 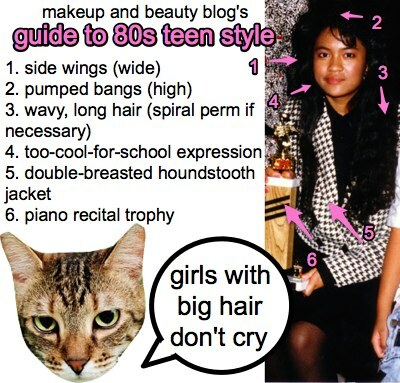 The road to accepting my hair fate has been long and filled with bad haircuts and products that delivered heartache and frizz. If I had a dime for every time I cursed my wavy hair I’d be a rich woman. I swear, I’m filing a request with the powers that be for straight, wash-and-wear hair, LOL. 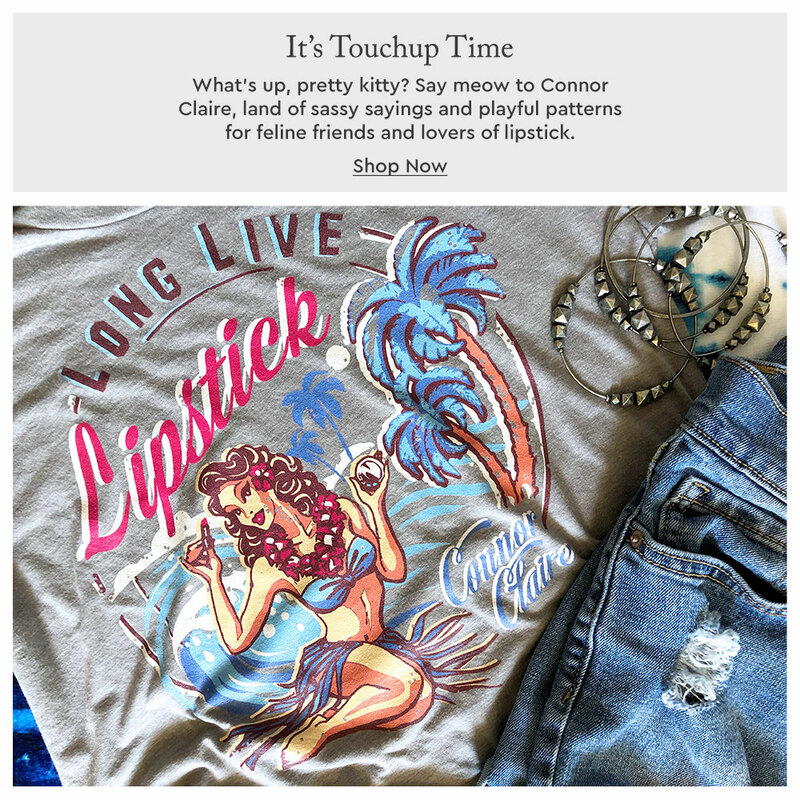 On my seemingly never-ending quest for more manageable hair, I’ve found a few products and tips that have helped, and here are some of my favorite ones. What are yours? What are your hair care power tips? Do share in the comments — I need all the help I can get! 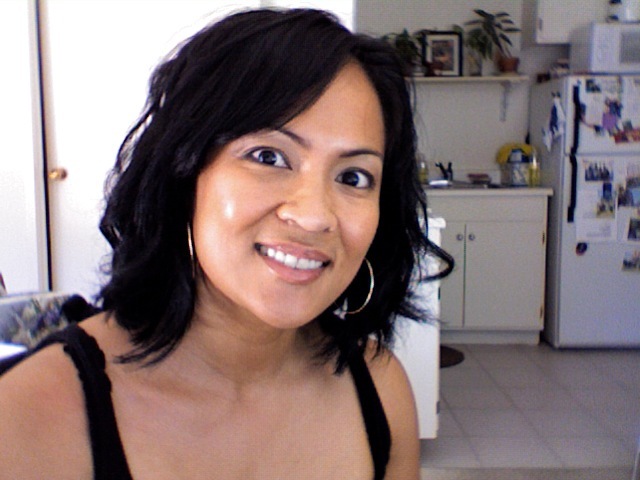 Tips for Breast Cancer Patients: Staying Beautiful Inside and Out! 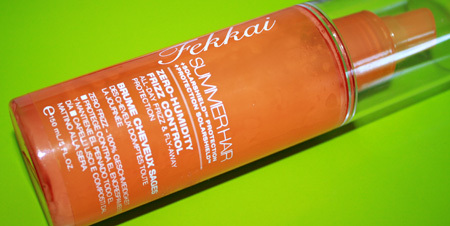 Oh, and thanks to Marisol for pointing out that Bella Sugar is doing a Friday giveaway today featuring the Fekkai Summer Hair product shown above. You have until 5 pm PDT today to enter; head on over to Bella’s blog for details. Good luck, bonne chance, held og lykke, viel glueck, etc., etc. I hope you’re having a great Fourth of July! I usually spend a lot of time outside in the summer, running up and down hills and bumping Jay-Z on my iPod. When my knees are functioning (sigh! ), it breaks down to an hour or two in the sun at least every other day. While I’m consistent about applying sunscreen before leaving the house for a run, I haven’t been as mindful when it comes to protecting my hair from sun damage. That summer sun gets hot, ya’ll. It’ll fade highlights in no time, so I’ve been on the lookout for products to protect my long, highlighted hair. I found PureOlogy ColourMax ($18), a spray that protects against UVA and UVB radiation and prevents color fading. About a half an hour before going for a run, I’ll spray ColourMax onto the sun-exposed parts of my hair from roots to ends, brushing it through. It smells a little like roses. According to PureOlogy, the spray works to prevent color fading by some kind of nano technology. Hmm… I don’t know about that, but it does help to keep my hair from getting tangled and adds a little extra shine. The company also claims the product is 100% vegan and not tested on animals (I guess nanites don’t count). I’ve been using it on my runs for about two weeks now (since returning from Hawaii) and haven’t noticed any fading of my caramel highlights in that time. I wish I had brought it with me to the islands because, over the short time I was there, I did notice some fading. The real test will come after I get my roots done next month. I’ll keep you updated. If you spend a lot of time in the sun, consider using a hair product with UV protection. In addition to bleaching the color out of your hair, UV chemically breaks down the keratin proteins in hair, drying it out and making it more likely to break. Frederick Fekkai Coiff Defense UV Protectant ($25) — a leave-in conditioner that protects hair against damage from UV rays and heat styling. John Frieda Thermal Protection Serum ($9) — a drugstore hair product that prevents UV fading, provides heat styling protection and makes hair smooth and soft. Re|center Anti-Frizz Serum ($10) — a hair serum that not only protects against UV rays and color fading but also smooths hair, adds shine and defrizzes. All that, and it’s 100% vegan and made from certified botanicals, too. Terax Finishing Spray ($18) — a medium hold hairspray with UV protectant. Mark Anthony Brilliant Color Color Lock Shampoo ($8) — a drugstore shampoo with vitamin C and UV sunscreens. Oscar Blandi Capri Sun-Shield Spray ($20) — a UV protectant spray that boosts shine while preventing fading from sun and chlorine. GHD Guardian Conditioner for Color-Treated Hair ($29) — a moisturizing conditioner with UVA and UVB protection for color-treated hair. Rene Furterer Okara Restructuring Mask ($28) — a deep conditioner with UV filters. Last night I did a whole lotta nothing from the comfort of the couch and watched a random sample of late-night 90’s movie fair. First, I watched American Pie, which I hadn’t seen in years (since band camp), and the second was Rounders. I forgot how much I liked Rounders. You can’t really go wrong with Ed Norton, Matt Damon and John Malcovich all in the same movie. How’s your weekend coming along? Do you have any plans for today? 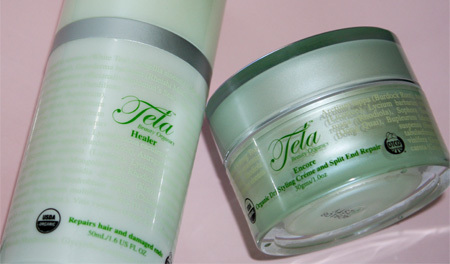 Tela Beauty Organics, where have you been all my wavy-haired life? Both your Healer product (leave-in conditioner) and Encore (styling creme) work wonders. Gisele Bundchen and Jennifer Anniston — step aside, girls (lol)! Here comes Karen’s hair! If you have naturally curly or wavy hair and, like me, can’t or won’t use hair products that contain silicone, you probably struggle to find silicone-free leave-in conditioners and de-frizzing products in which dimethicone or amodimethicone aren’t listed near the top of the list of ingredients. In the hair care industry, it seems like silicone is everywhere you turn. What’s so bad about silicone? Well, nothing according to the cosmetics industry, but theirs isn’t the only opinion. Silicone coats hair, protecting it from heat damage, and makes hair shiny and smooth. But others warn that overuse of silicone-containing hair products forces the hair cuticle out of position, potentially killing it and leading to hair thinning and loss. Most experts agree that occasional use of quality brands shouldn’t lead to long term problems with hair. Both products are expensive, but they also work very well. Healer is a leave-in treatment that repairs hair and damaged ends. I have really thick hair and found that I had to use about a silver dollar-sized amount, massaging it throughout my hair after getting out of the shower. Then, using my fingertips and a wide-toothed comb, I worked a pea-sized amount of Encore’s styling paste in, particularly at the ends to reduce frizz, and air dried.